Discrimination, be it societal or institutional, explicit or implicit, has no place in our democracy. Still, in this country, people of color are disproportionately exposed to dirty air, abandoned toxic waste, and unsafe drinking water. It is conditions like these that have resulted in high levels of asthma and scenarios like the Flint water crisis, where 6,000 to 12,000 children of this predominately African American community may face the severe health ramifications of lead poisoning, including permanent brain damage. As Americans, we are given a sacrosanct tool to hold elected officials accountable for these environmental and other injustices — the ballot box. Unfortunately, over the last 10 years, voter suppression laws have undermined fair access to the polls, leaving this sacrosanct tool largely inaccessible to communities of color. 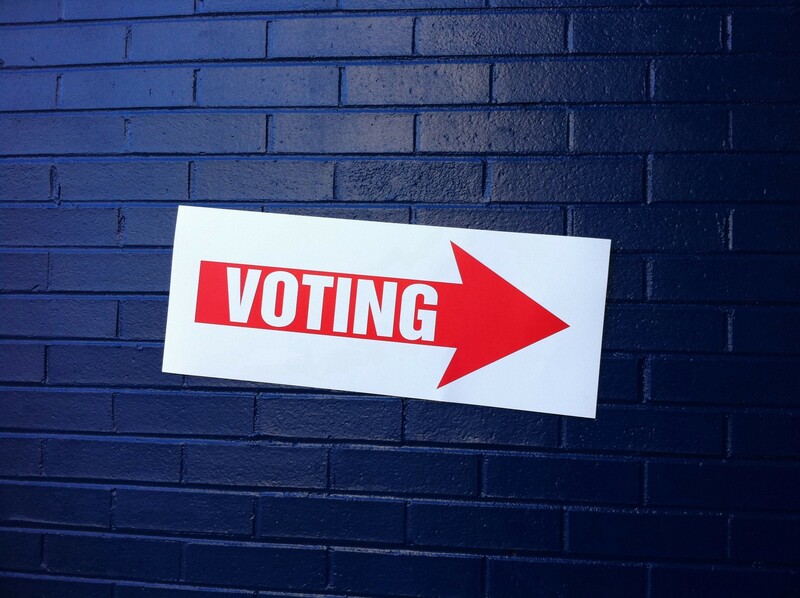 These voting laws manifest in a variety of forms, including restrictive voter identification requirements, the elimination of polling sites, reduced early voting, and the repeal of same-day voter registration. And these tactics acutely impact communities of color, the elderly, and voters with limited economic means. Take, for instance, voter ID laws that require citizens to present government-issued photo identification to cast a ballot. Many eligible voters — 25 percent of African Americans, 16 percent of Latinos and 18 percent of Americans over 65 — simply do not have the required photo ID. And for these voters, the requisite ID is not always easy to obtain. All too often the government offices that issue the IDs are far away. 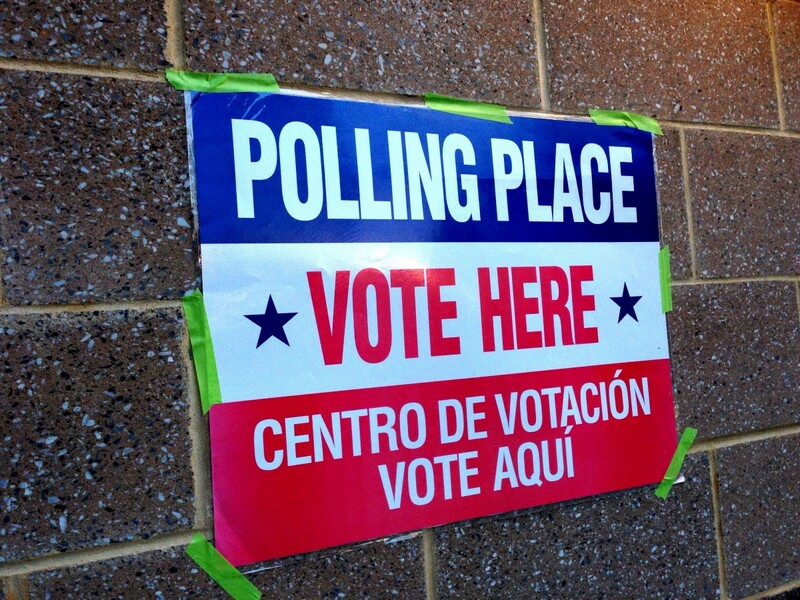 Over a million black voters and half a million Latino voters live more than 10 miles from the nearest issuing office — a significant distance, especially for those with no vehicle and limited access to public transportation. On top of distance, these offices are often open for limited hours. For instance, the Sauk City, Wisconsin office is only open on the fifth Wednesday of the month. In 2016, only four months include five Wednesdays: March, June, August and November. Simply put, these policies make obtaining a proper ID an unreasonable burden. Other forms of voter suppression are troubling as well. This year, following the elimination of 140 polling sites in Arizona — many of which once served black, Latino and Navajo communities — Phoenix voters waited for hours to cast their ballot, some well past midnight. 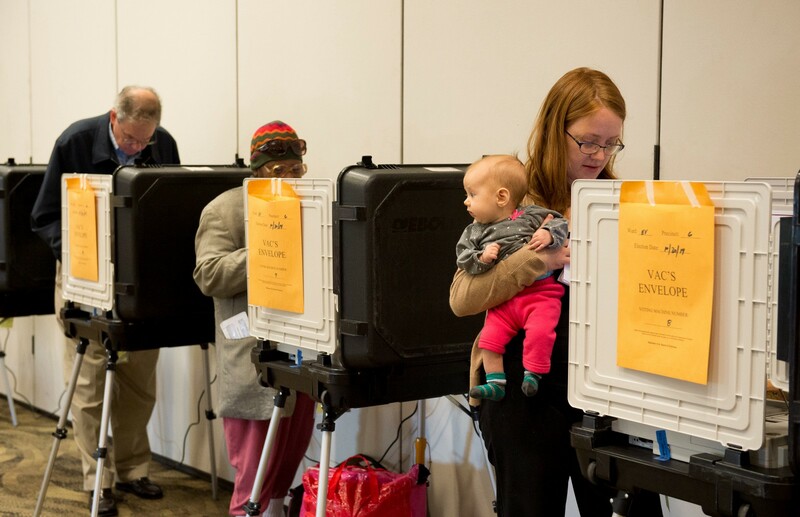 In North Carolina, when the state legislature cut a week of early voting, it eliminated a “Souls to the Polls” Sunday, an activity that traditionally provides black voters transportation from church to early voting sites. In Florida, Governor Rick Scott pushed an effort, based on flawed data, to purge non-citizens from the state’s voter rolls; eighty-seven percent of the voters targeted by this effort were people of color. We need a democracy that values all of its voices with fair access to the ballot box. These laws that systemically limit the political power of our communities of color are not it. Fortunately, a promising voting rights trend is emerging: restrictive voting laws are toppling — or at least starting to crumble — in states across our country. In recent months, courts in North Dakota, Texas, Wisconsin, and North Carolina invalidated, in various manners, voter suppression laws that have disenfranchised minority voters — a hard-fought and welcome development, especially with Election Day looming. In North Dakota, a district court issued a preliminary injunction against the state’s highly restrictive Voter ID laws, which notably prevented rural Native Americans from casting their ballots. In Texas, a circuit court found that the state’s limited list of acceptable IDs disenfranchised minority voters, and they directed a lower court to draft a remedy. In Wisconsin, a district judge dismantled a series of election laws ranging from limited absentee voting hours to residency requirements to qualifying IDs. And perhaps most extensive and transforming, an appeals court in North Carolina struck down the state’s voter ID law, agonizing that it “targeted African Americans with almost surgical precision.” Furthermore, the Supreme Court, in a split decision, recently denied North Carolina Governor Pat McCrory’s request to stay — or, in other words, restore — North Carolina’s restrictive voter laws. At this moment, these courts are taking steps to restore confidence in our democracy — they are edging the American electoral process towards embodying the fundamental right that it was intended to be. Now, it is up to all of us to get voters to the polls. For the last decade, the League of Conservation Voters Education Fund (LCVEF) has run robust civic engagement programs aimed at building an engaged electorate to participate in our democracy. At its core, this is ensuring that people have a fundamental right — their vote. In 2011, LCVEF created Chispa, a long-term effort to build and strengthen Latino grassroots and national leadership on climate change and energy issues. 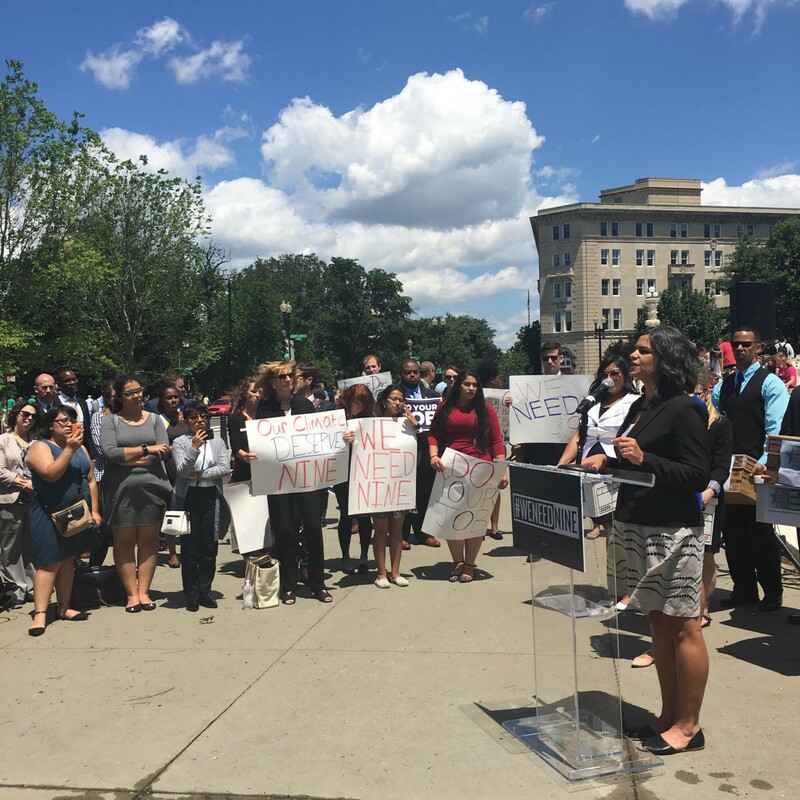 With Chispa programs in states across the country, our organizing programs are engaging our Latino communities in the civic process, with the hopes of building infrastructure for short and long-term Latino voter participation. Our communities, all of them, need to be heard. A truly participatory democracy — one where the voting booth is equally accessible to all our communities — can help build this more inclusive future.